Thank goodness for outstanding teachers! 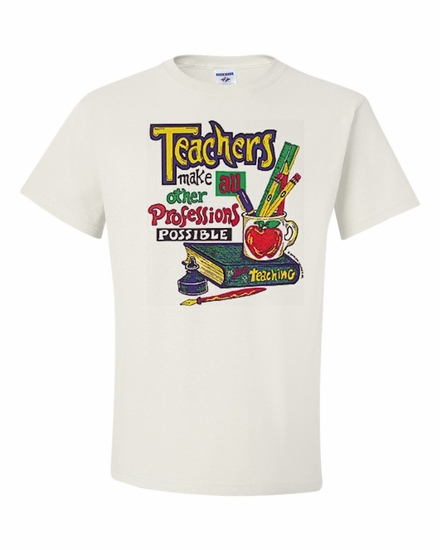 Treat them to a Teachers Make all other Professions Possible t-shirt or sweatshirt. We carry a variety of colors, sizes, and styles. For a special teacher, add a Teachers Make all other Professions Possible coffee mug. Remember� you found the Teachers Make all other Professions Possible Shirts at TShirtHub.com, where high quality came at a low price.